Alcohol • Herbert signs liquor-reform bill; plans for replacement and changes must get DABC approval. With Gov. Gary Herbert signing a massive alcohol reform bill Tuesday, many Utah restaurants are eager to remove the much-maligned "Zion Curtain" and replace it with a less-intrusive barrier as allowed under HB442. Before taking a sledgehammer to the barriers, officials from the Utah Department of Alcoholic Beverage Control (DABC) say there is a process the restaurants will need to follow. "They can&apos;t just go in and tear them down," Nina McDermott, the DABC&apos;s director of compliance, said Tuesday. Prior to making changes, plans will need to be approved by the DABC to ensure that new alcohol dispensing areas meet state law, she said. "Making a change without approval, could result in fines or loss of a liquor license." Even though restaurant owners do not have to comply with the new designated dispensing-area rules until July, 2022, McDermott has already heard from many owners who want to be curtain-free by this July 1, when the law will go into effect. To accommodate all the requests, the DABC is creating an application process to ensure compliance officers will have time to review plans and inspect the restaurants in time. McDermott said restaurants that submit an application before May 9 will be guaranteed a timely inspection. Applications submitted after May 9 will be handled as time permits, she said. The application form should be available on the DABC website  abc.utah.gov  by the end of the week. Restaurant owners also can call the department and request an application. McDermott said HB442 "doubled the work load of the DABC." Lawmakers, however, included additional funding to hire at least five more employees to help with compliance and licensing. "We&apos;ll be creating a timeline to help us tackle the most pressing things first and then move down the line," she said. While some in the restaurant industry had hoped lawmakers would do away with the 7-foot opaque barriers intended to block children from seeing drinks being mixed, the bill instead offers options. Restaurants can keep the "Zion Curtain"; create a 10-foot buffer from the bar (or edge of dispensing area) where minors are not allowed; or build a half-wall or railing, at least 42 inches high, that creates a delineation between the dining and liquor-dispensing areas. All restaurants will have to implement one of the dispensing-area options, even older restaurants that were exempted from the "Zion Curtain" mandate because they were serving alcohol before 2009, when that law was enacted. The DABC is still trying to determine how many of those previously exempted restaurants will now need to add one of the liquor-dispensing options. Joel LaSalle, co-owner of Current Fish and Oyster in Salt Lake City, wants to be one of the first Utah restaurants to remove its "Zion Curtain." "The loss of revenue for us is so big," he said, "we want to do away with it as soon as possible." 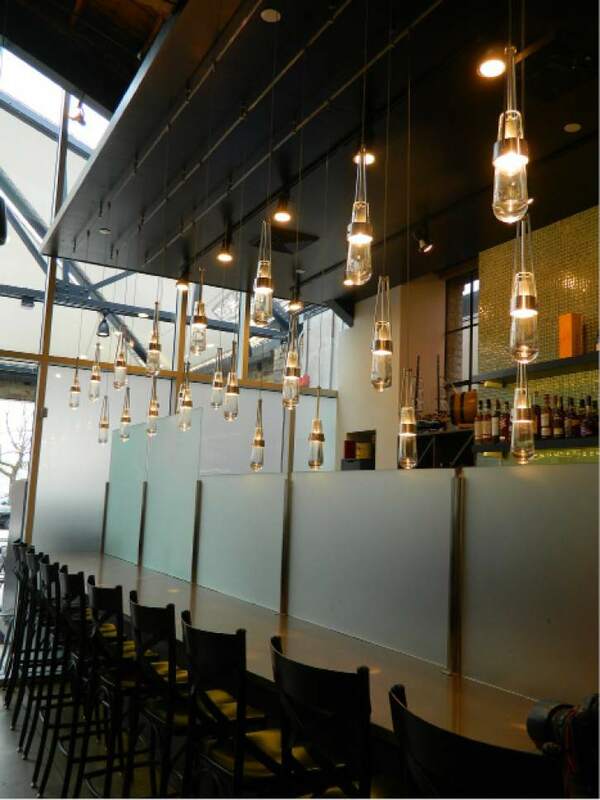 The bar area inside the restaurant has 12 seats, but is masked by opaque glass and a stainless steel barrier. "Nobody wants to sit there," LaSalle said, estimating that the restaurant has lost more than $16,000 a month since opening in 2015 because of the unsightly wall. Current was designed to have a natural buffer area that separates the dining room and bar, "in anticipation of something like this happening," he said. All that needs to be done to comply with the new law, he added, is to remove the glass and a few screws. 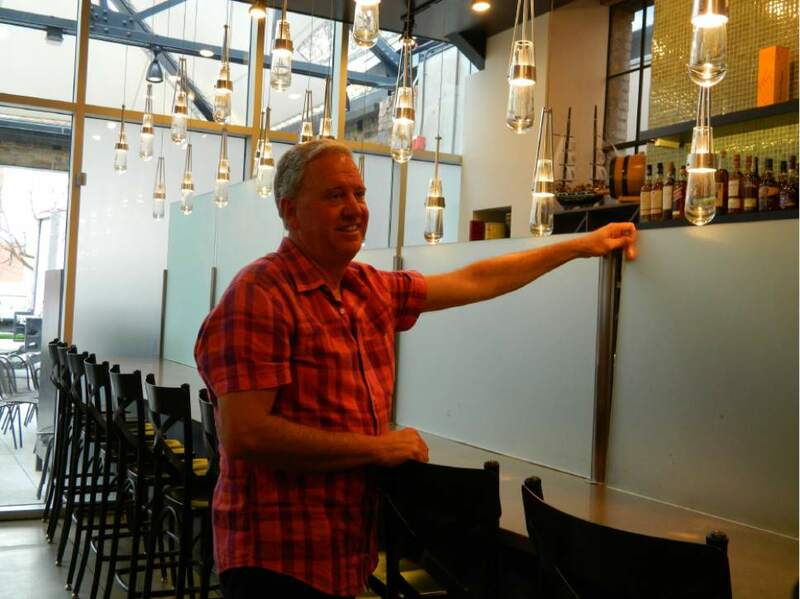 Michele Corigliano, executive director of the Salt Lake Area Restaurant Association, expects most members, like Current, to ditch the "Zion Curtain." "The feedback we are getting is that many can do it with just minor changes," she said. She is warning the group, however, to follow DABC rules or possibly make mistakes, "that could cost more in the long run." Utah&apos;s new alcohol reform law, signed into law Tuesday by Gov. Gary Herbert, didn&apos;t do away with the state&apos;s "Zion Curtain" mandate, but it did give restaurants new options. They now can create a 10-foot buffer from the bar (or edge of dispensing area) where minors are not allowed; or build a half-wall or railing, at least 42 inches high, that creates a delineation between the dining and liquor-dispensing areas. Liquor markup • It will boost the state markup on wine and spirits from 86 percent to 88 percent and the markup on heavy beer sold in liquor stores from 64.5 percent to 66.5 percent. The additional revenue will pay for prevention and training programs for eighth and 10th grades, as well as for owners and managers of bars and restaurants. Licenses • It does away with dining club and social club designations and creates a single bar license; it allows restaurants serving alcohol to be closer to churches, schools and other community locations, but takes away the DABC&apos;s ability to grant exceptions; and it allows restaurants to serve alcoholic drinks one hour earlier, at 10:30 a.m., on weekends and state and federal holidays. Store displays • It tightens restrictions for beer displays in grocery and convenience stores, to prevent confusion between nonalcoholic beverages and flavored beers, which often have similar labeling.